The Internet Beacon is an website Marketing Company located near Baltimore that was founded to help local businesses market their company on the Internet and improve their Search Engine Rank. We like to describe Website Marketing as the union between the creative and the technical characteristics of the Internet which are used to promote your website by enhancing it's design, development, advertising, and sales. Using techniques such as banner ads, email marketing, search engine marketing (SEM), backlink building, and search engine optimization (SEO). We have been told that our services meet and exceed the Internet Marketing needs of our Maryland customers. We need more sales leads from our website. Our company has a great site but needs more traffic. We have a mediocre website with little traffic. Our client customized Internet Marketing Services and Solutions can solve these common challenges and many other marketing issues. We provide our clients with a customized Internet Marketing - SEO solution based upon a customized quote. Our primary goal is to help local Maryland firms dramatically increase sales leads via their website and convert their website from an electronic business card into a powerful, sophisticated, internet marketing tool. Our team enjoys hearing from our Maryland clients that their email and phone contacts by new clients increases dramatically as a result of our services. The InternetBeacon staff enjoys watching our clients prosper. The Internet Beacon practices total quality customer satisfaction as a core principal and feel that by having a presence in Baltimore we can work directly with our clients and provide them with the best possible service. clients are interested in results and are not interested the process, so our team will not take up your time educating you about Website Marketing and Search Engine Optimization (SEO); we take care of that for you so that you can focus on operating and growing your business. Our team has found that the marketing needs of our clients vary greatly and we customize your Website Marketing plan to your needs and to your budget. Our clients in Maryland know that Website Marketing is an ongoing process not generally corrected in 30 days. To facilitate this we offer monthly maintenance packages for our SEO services so that we meet your specific needs. 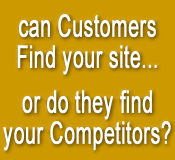 Please contact us for a free Website Marketing Maryland quote today.